According to Apple’s recently launched new iPhone 8, iPhone 8 Plus, there are many reasons for not being able to find the customer. Customers say that these smartphones lack innovation and due to its high prices, we have been forced to change our decision to buy it. 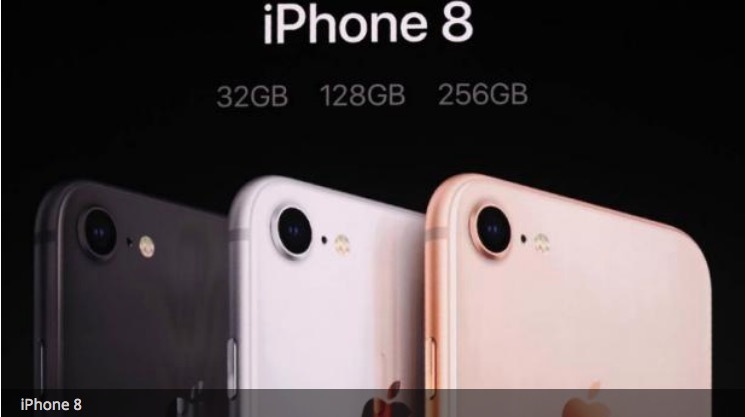 The price of iPhone 8 64GB variants is 64 thousand rupees, while 256GB phones cost 77 thousand rupees. The iPhone 8 Plus 64GB variant has an initial price of Rs 73 thousand and 256GB is worth 86 thousand rupees for Indian customers. The iPhone X, which will be launched on November 3 in India, 10 years of the device, its 64GB variant is priced at Rs. 89 thousand and the cost of 256GB is 1.02 lakh rupees. SaveDelete has found that after getting this phone available in India from Sep 29, customers who arrived at several Apple stores in the NCR spoke about the lack of innovation in this smartphone. Along with this, another smartphone user said, ‘he will not buy the iPhone 8, because Apple itself is not aware of the innovation of the device itself.’ He said, “Apple has always been known for its innovation, but in these new phones nothing other than the huge price is nothing new. In order to buy a device it must have many features which are not in the iPhone 8. Engineer Abhishek Singh said about the price, that as soon as he saw the prices of these new devices, he was quite disappointed. Professional photographer Shobhit Dev said that in such a case when iPhone X is going to come, buying an iPhone 8 would be a compromise in itself. He said, “spending Rs. 89 thousand for this ‘super premium’ device is out of my budget. I would love to buy Samsung Galaxy Note 8. ‘ SaveDelete found that many iPhone users, who were referring to Apple, would wait for the iPhone X. Similar mixed reaction was also seen in the US, where people did not show interest in this phone due to the lack of innovation in this device, and at least Apple’s store has seen much less crowd than before last year.